automotive curiosity comprises projects that use cars or various parts of vehicles in the making of sculptural and digital art, photography, furniture design and new technology. 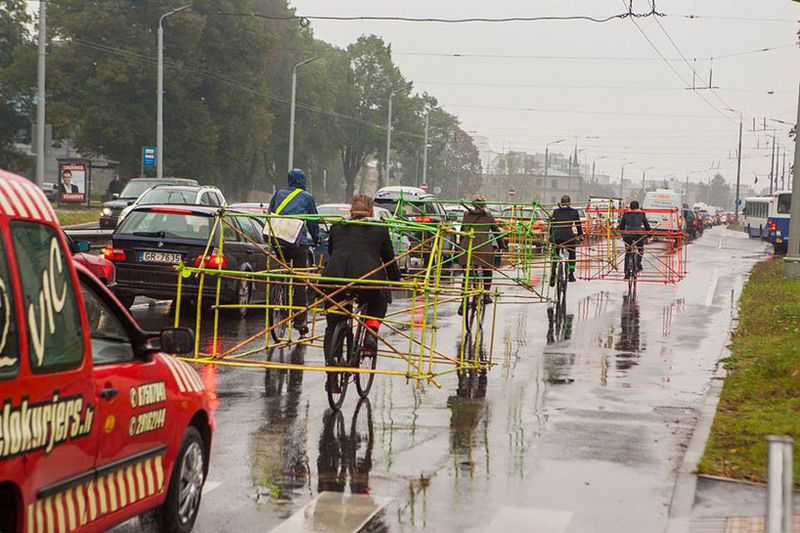 during this year’s european week of sustainable mobility, a branch of latvian cyclists part of the let’s bike it community staged a creative protest, which effectively — and cleverly — showed that cars with single occupants take up way too much space. 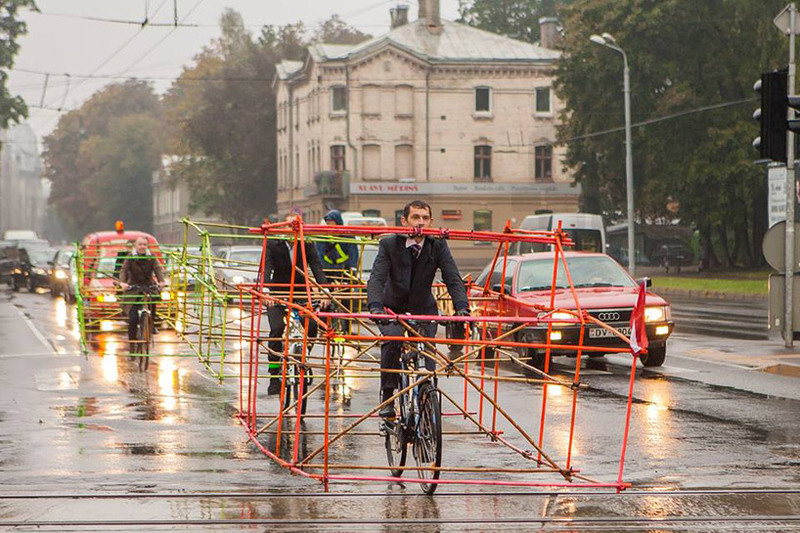 the streets of riga were lined with hand-crafted constructions of full-scale car frames, made to sit on the shoulders of the bike rider. 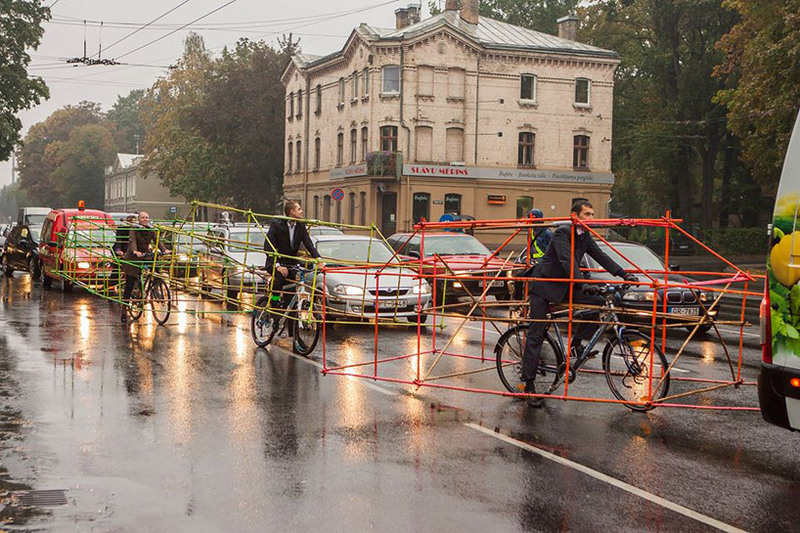 bamboo-like rods tethered together created the skeleton of a vehicle-sized structure, while bright colored paint ensured their visibility on the road. the wearable units extend far beyond the width of an individual cyclist — a truly representative and definite illustration of the difference in scale from driver to bike rider. 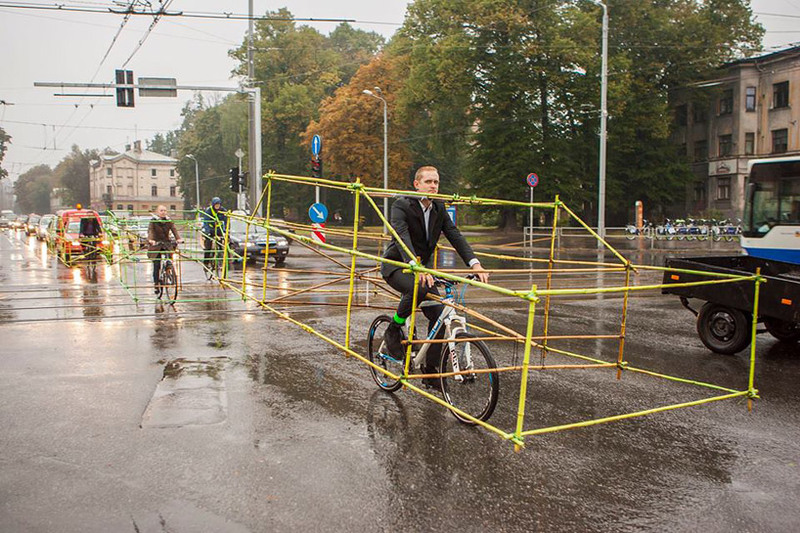 As a fellow biker, I think this is a great idea! 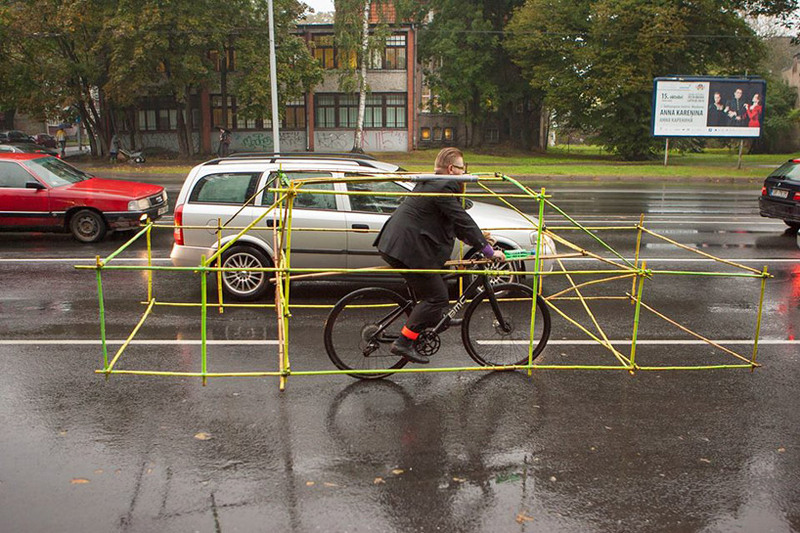 So few drivers actually realize the proper amount of space to give a bicyclist. 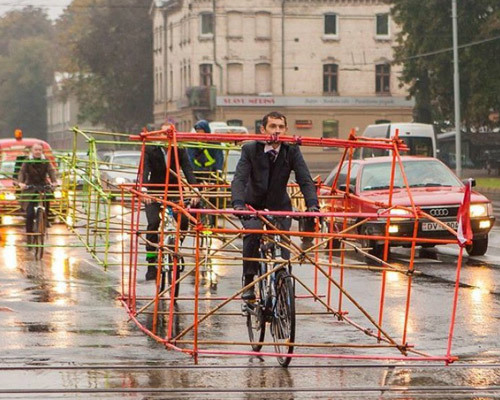 cute… but frankly, a bike lane would be much safer than riding along with motorised vehicles under any circumstances. Novel idea – demonstration fine.